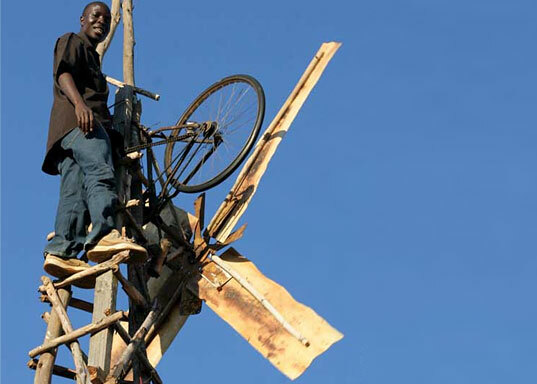 'William and the windmill' documentary wins Grand Jury Prize in the U.S.
Great news for William Kamwamba, the young man from Malawi who at 16 years old made a windmill in his village using recycle materials, including parts of a bicycle. “William and the windmill”, a full length documentary about his life, just won the 2013 SXSW (South by Southwest) festival Grand Jury Prize, in Austin, USA. William Kamwamba’s story has conquered the world in various forms: first through the 2010 book “The boy who harnessed the wind” (by author Bryan Mealer) which, apart from telling the fascinating, multifaceted story of William, is also an excellent book about Malawi, well written and documented and retracing the history of the country. The children’s version of the book came out in 2012.